Is Assam being Polarised on the Citizenship Bill Issue? The killing of five Bengali men on November 1 can widen the existing rift between the Barak and Brahmaputra valleys. 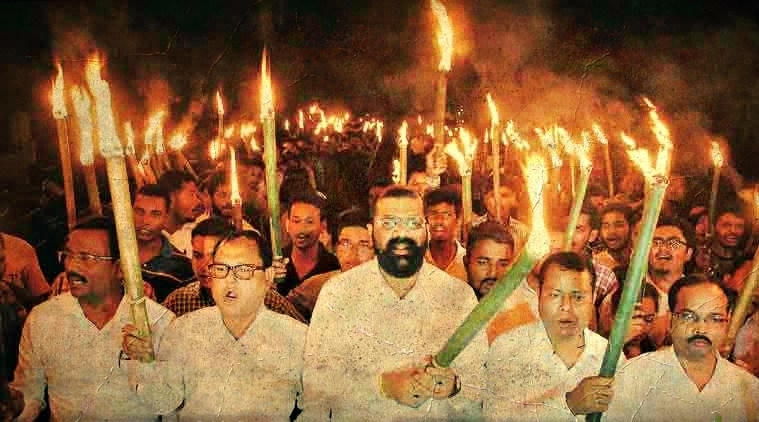 Assam appears to be on the cusp of returning to the bad old days. On Thursday, November 1, five Bengali speaking people were shot dead by gunmen dressed in battle fatigues in Bisonimukh village in Tinsukia district. Targeted killings of non-Assamese people has been a calling card of the United Liberation Front of Assam (ULFA) in the past. Initial reports had pinned the blame on the Paresh Baruah-led ULFA(Independent) [ULFA(I)] faction. However, ULFA(I) has denied any role in the killings. ULFA’s denial of involvement should be believed as they have a history of admitting when they are behind an attack, be it a blast or otherwise. On October 12, a low intensity blast was detonated in Panbazar, near the migrant majority area of Fancy Bazar in Guwahati. ULFA(I) had claimed responsibility for the blast and stated that it was a warning to all those opposed to the National Register of Citizens (NRC) as well as those favouring the settlement of Hindu Bangladeshis in Assam. However, despite what most media outlets would lead one to believe, the issue in Assam is not so much about the NRC, but rather it is about the Citizenship (Amendment) Bill, 2016. The NRC exercise is aimed towards updating the citizenship register in the state. Though the Congress, Bharatiya Janata Party (BJP) and the Asom Gana Parishad (AGP) all have tried to take credit for the NRC, the fact is that it was initiated at the behest of a writ petition in the Supreme Court of India. Further, the entire exercise is being monitored by the apex court. Why BJP is Promoting the Citizenship Bill? The Citizenship Bill, on the other hand, is an attempt by the BJP to amend the existing citizenship law in India to enable non-Muslims and strangely, non-atheists from Afghanistan, Bangladesh and Pakistan to be treated as persecuted minorities and easily acquire Indian citizenship. The Bill has faced backlash on many fronts. The mainstream political parties such as the Trinamool Congress (TMC) among others have highlighted that the Bill is discriminatory against persecuted Muslim communities. However, the loudest opposition to the Bill has come from civil society organisations and student groups from across the Northeast. These organisations fear that the Northeastern states would be overwhelmed by immigrants from Bangladesh. In Assam specifically, the issue with the Bill is that many believe the number of Hindu undocumented migrants from Bangladesh far outnumbers their Muslim counterparts. Thus, the NRC – once completed – will expose this fact. However, the BJP is worried that revealing these facts will erode their voter base, particularly in the Bengali speaking areas of the Barak Valley. Thus, the Citizenship Bill is presumed to ensure that the party’s assets are not compromised. This view appears to be corroborated to some extent by certain events that have taken place in Assam in the past few weeks. Following the Panbazar blast, the founder and president of All Cachar Karimganj Hailakandi Students’ Association (ACKHSA), Pradip Dutta Roy told the press that the blast would not affect the will of the people. He then went on to declare his support for the Citizenship Bill, while alleging that the names of illegal migrants had been included in the NRC. To support this statement Roy referred to the acceptance rates in the districts of Dhubri, Karimganj, Goalpara and Barpeta, all of which have significant Muslim populations. The Citizens’ Rights Protection Coordination Committee and the North East Linguistic and Ethnic Coordination Committee have also voiced their contempt for ULFA(I) while expressing their support for the Bill. However, perhaps what is most telling is the role of Shiladitya Dev, the BJP member of the legislative assembly from Hojai. He questioned Baruah’s motives for the blast and told The Telegraph that if Baruah was genuinely in support of the Assamese people, he should question the inclusion rates in Dhubri. Also Read | Will the Army’s Strategic ‘Recalibration’ Heighten Tension in NE? Shiladitya Dev is also the mastermind behind organising around 26 Bengali associations to hold a rally in support of the Citizenship Bill. The rally was initially to be organised on November 17 at Khanapara ground in Guwahati. However, due to opposition from various groups including Akhil Gogoi’s Krishak Mukti Sangram Samiti (KMSS), the venue was shifted. Interestingly, Dev made a u-turn on the Bill on October 28. But, the u-turn also reveals the BJP’s agenda- Dev had told reporters that the Bill would be unnecessary if the names of Hindu Bengalis are included in the NRC. The BJP is probably well aware of the polarising nature of this agenda. They are also probably aware that the Citizenship Bill issue has widened the rift between the Brahmaputra and Barak Valleys. Yet, despite this knowledge, they appear to be hell bent on ensuring citizenship for undocumented Hindu migrants. The fallout of such an agenda is likely to result in communal violence based on language rather than religion. The killings in Tinsukia have not been carried out by ULFA(I). However, this may be the start of a trend. "Both Rahul and Modi are the same as far as curtailing of labour rights is concerned.